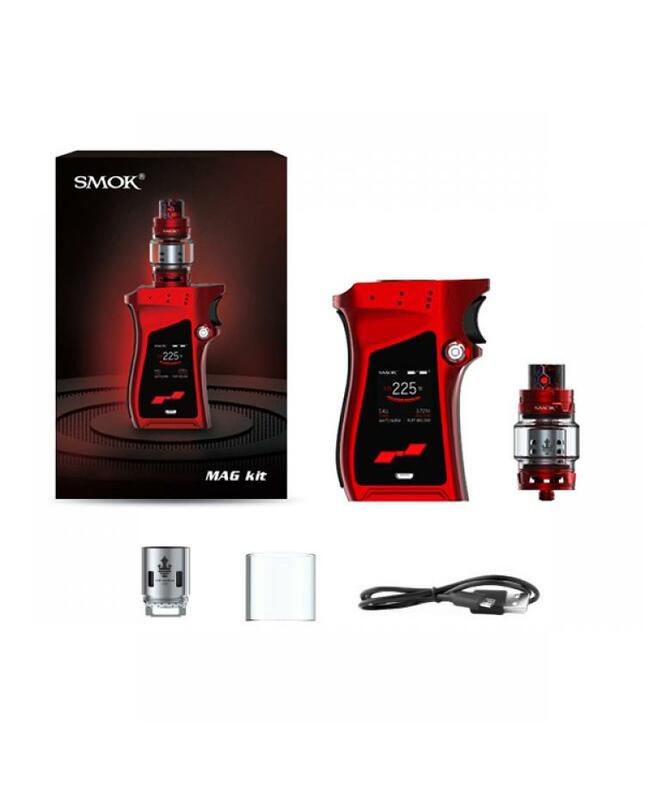 Newest Smok Mag 225W Box Mod Starter Kit includes 225W mag vape mod and TFV12 prince tank. eight fashionable colors available. the mod max output 225watts and tank can hold 8ml e juice. with all new and powerful vaping cores ensures you will have a great experience. the smoke box mod made of high-quality zinc alloy material, with gun-handle ergonomic design, hold it feel like hold a real gun. the new smok vapor mod with exquisite fire key, like the trigger of a gun, you can press the triggering button easily. the mag mod adopts high-definition OLED screen, it will show you the full vape data, like VW/TC mode, vaping effect, voltage, battery life, resistance value etc, there 6 colors screen setting,the mag with flower-shaped button for battery installation, lock and load, you can even hear the pleasant sound that a real gun can offer you. 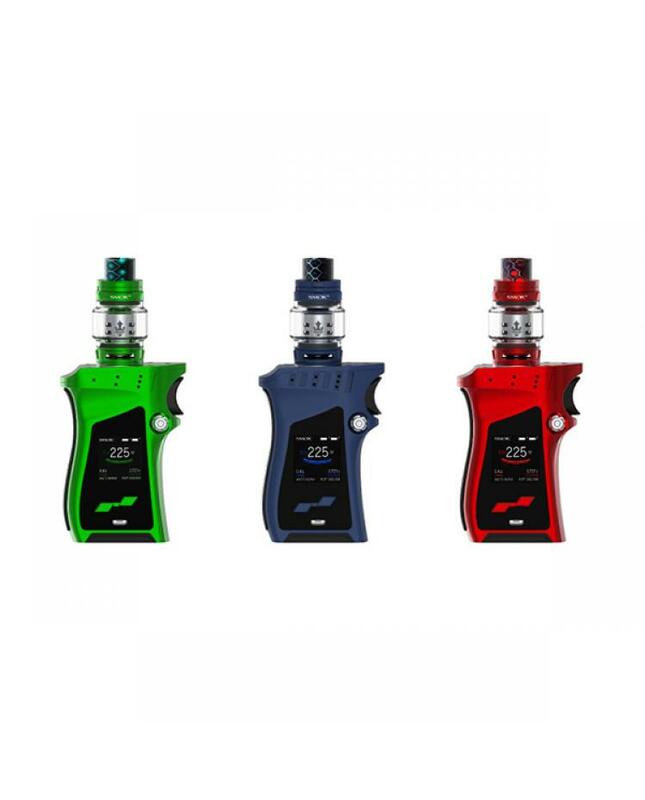 vapers can select three different working modes: VW, TC(NI, TI, SS) and memory modes. it powered by two 18650 batteries in series, the dual battery life indicator on the OLED screen will show you the accurate conditions of these batteries. 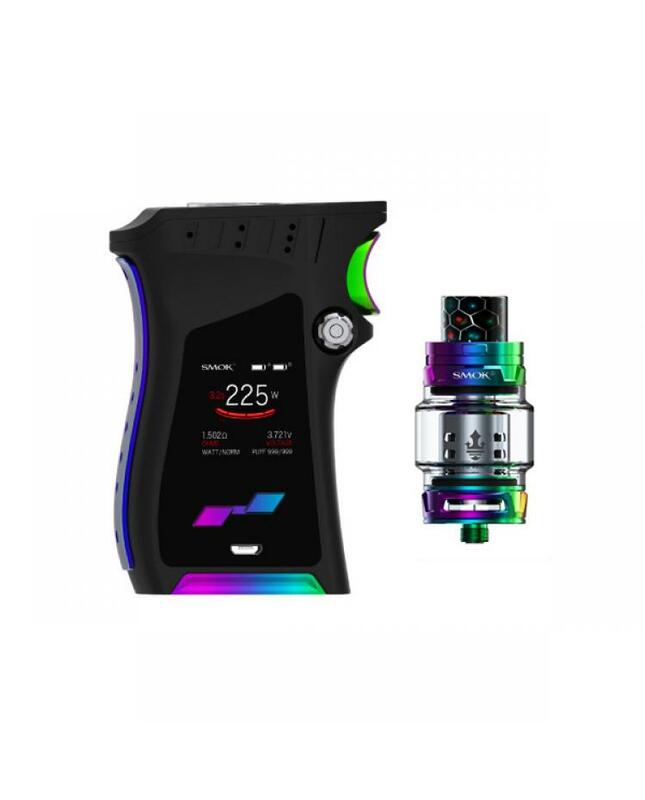 the TFV12 prince cloud beast tank can hold 8ml e juice, top refill design and patented locking mechanism, simply press this button then you can open the cap, can avoid accidentally opening of top cap and leaking. bottom large airflow adjustable slots allow vapers to adjust the airflow to your preference easily. 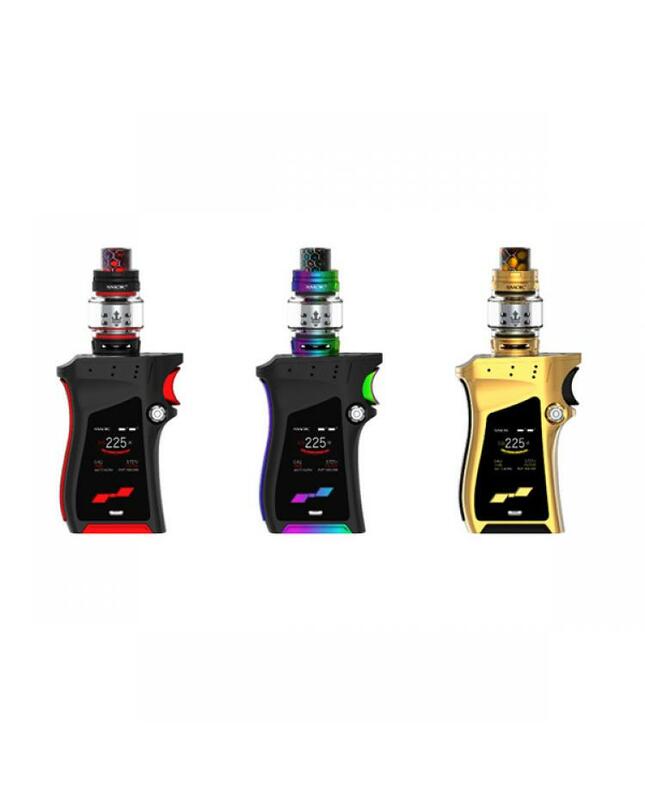 cheap mag kit by smok with all new and powerful vaping cores ensures you will get a great experience.